The gang has a TON of love to give; that we all know! 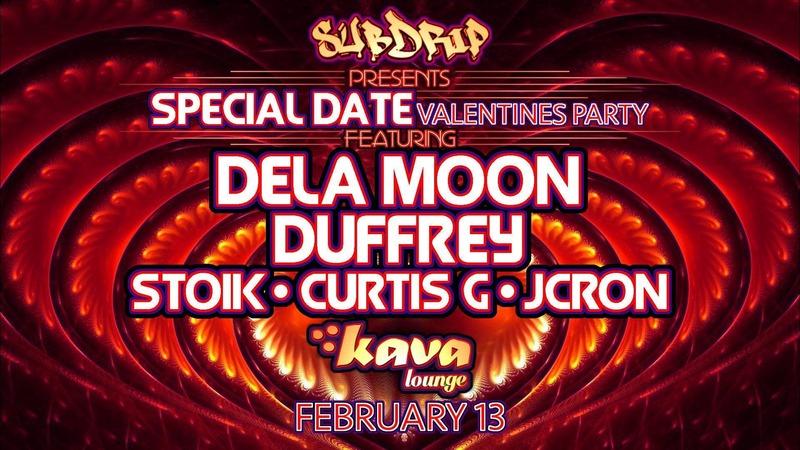 So we thought we'd get extra sappy this Valentine's Day with a very special edition of SubDrip at The Kava Lounge! We couldn't be more excited to have Dela Moon and Duffrey joining the SubDrip boi's for a night of deep, dark, weird, funky bass goodness! Don't forget to bring your Valentine or you run the risk of being shot by Cupid's bass cannon. Grab your $10 presale tix NOW!!! These are going to go fast and prices will go up!